Diesel Volkswagens. For years we automotive writers lauded their fuel economy, their prodigious torque, and how they didn’t pump our air full of toxins. Turns out everyone was wrong on that last part! But now the diesel VWs have been fixed, allegedly, and you can own one. Should you? That’s what I just spent $22,500 to find out. When I joined Jalopnik three months ago, I was actually between vehicles. It was an embarrassing, painful situation to be in. I gave my first car, a trusty and slightly rusty 2004 Saturn Ion, to my little sister and I was getting around using press cars while working for a different publication. And then I joined this motley crew and needed a ride of my own. While my situation became the subject of a What Car Should You Buy? article, I already had an idea of what I was going to buy. I had never owned a brand spanking new car and I wanted something solid and interesting that was truly mine. Something that would last through multi-state road trips and brutal Detroit winters. Images of a German hatchback, preferably something little with a plaid-clad interior and a gearbox, raced happily through my dreams. I was prepared to pour my car savings out for a little five-door, but then I saw it. I saw her. A 2015 Volkswagen SportWagen TDI SE in Flash Red. Sitting innocently by the curb, wearing an orange “NOT FOR SALE” sticker in her windshield like a neon scarlet letter. I dubbed the car Jolene, because she had a pretty face, but a cheating heart, and promised her that she would be mine. Oh yes. She would be mine. Now, some of you have yet to forgive VW for its very recent indiscretions. Even ardent fans swore off the brand following the Dieselgate scandal. Many of them are probably peppering the comments below as we speak. But as soon as I heard about the scandal, I assumed Volkswagen was just the first automaker to be caught cheating on emissions tests, not the last. And I wasn’t wrong. Besides, Jolene didn’t want to lie. It wasn’t her fault that she was unfaithful to federal regulations. She wasn’t a bad car, she was just programmed that way. I was sort of drawn to the VW dealership because of Dieselgate. I was already interested in the brand, but the deal VW was offering on their tainted vehicles definitely got me in the door. The salesperson I talked to said people had basically been walking off the lot with the diesel Golfs, and stocks across the state were getting eaten up fast. Though, curiously, he was still stocked up with boring white Jetta TDIs. Besides—I like to see opportunity in crisis. After a test drive and some haggling I signed the paperwork for a car that originally cost $27,000 for just under $22,500. 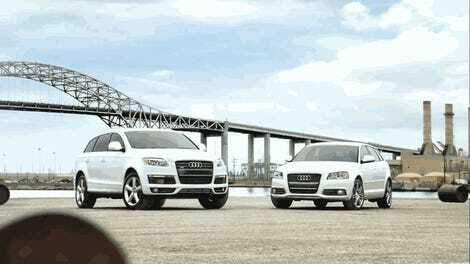 And thanks to the zero percent financing offer on these besmirched cars, that’s all I will ever pay. But I still didn’t have the car. ...at least for the third-generation diesels, the main benefit VW gained by cheating was merely stretching the DEF refill interval to coincide with a 10,000-mile oil change. It almost makes you wonder why they had to cheat at all. Jolene doesn’t see daily action all that often, but the roomy red wagon is a road trips and hauling stuff machine. And it gets incredible milage. Achieving 43 mpg on the highway is not uncommon in my experience. I’m not exactly inching along, either. The SportWagen’s extra eight cubic feet makes is so much more useful than the cute and zippy Golf. When I do need a car, I know it can handle practically anything. Even though it is an automatic—I am still hanging my head in shame in the corner for this one—my god, does the car thing make a satisfying sound. 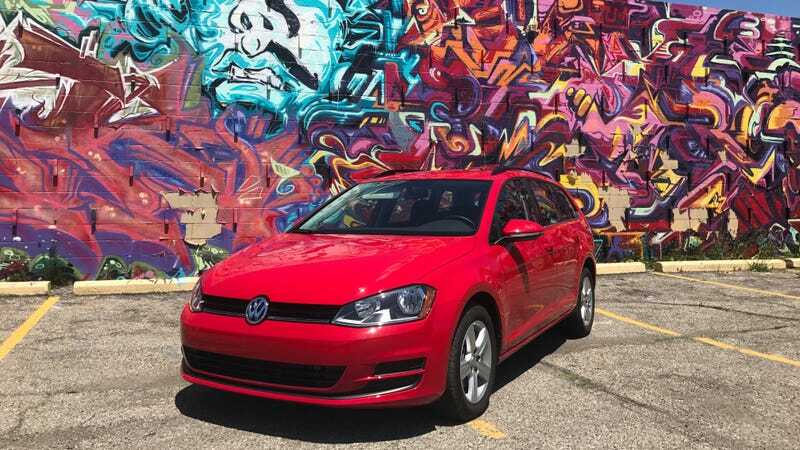 Even when idling the TDI’s turbocharged 2.0-liter direct-injected inline-four has a self-assured rumbly presence to it. It’s not flashy or a head turner in terms of design, though I think it looks rather sleek. If anything it’s a sleeper vehicle. It’s an everyday car that delivers just enough noise, handling and torque to thrill on the regular. It’s a cool mom car. Exactly what I wanted. These are excellent vehicles, and I’m not the only one who thinks so. Before Diselgate the majority of SportWagens sold were diesel variants. Volkswagen even told us that some months diesels made up 80 percent of SportWagen sales. They’re so good that 7,000 of the 11,000 new 2015 TDIs in dealer inventory release for sale in April were gone in just two months. So good, that even some of those diesel buyers burned by the controversy still miss their TDIs. I get the desire to write off an automaker after they’ve hurt you. A few years before that little rusty Ion ended up in my sister’s hands it needed its ignition lock replaced. Yeah, I also owned a General Motors murder-mobile. Would I buy a GM car now? Maybe, maybe not. But I went from shock to shrugging to shopping for VWs while the company is still being punished for their crimes. When a car is this good, you realize it’s one cheater you can take back.